Experience cranberries in a way you might never have imagined. 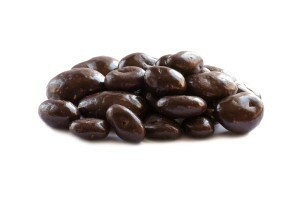 Our dark chocolate covered cranberries are an ideal balance of tartness and sweetness. The texture of the chewy dried cranberry is a unique contrast to the silky, smooth dark chocolate coating. Your tastebuds may experience extreme delight when you begin eating this unexpectedly fun and elegant pairing of flavors. Semisweet chocolate (sugar, chocolate liquor, cocoa mass, cocoa butter, soy lecithin (emulsifier), vanillin (artificial flavor) ), cranberries, sugar, sunflower oil, natural and artificial flavors, gum arabic, confectioners glaze Packaged in the same facility as peanuts, tree nuts, wheat, soy, and milk products.